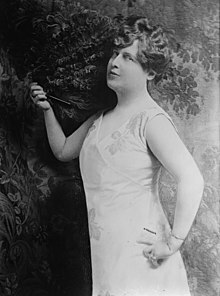 Florence Foster Jenkins (July 19, 1868 – November 26, 1944) was an American amateur operatic soprano who was known, and ridiculed, for her lack of rhythm, pitch, tone, aberrant pronunciation of libretti, and overall poor singing ability. Outsider artists have no thought for success or fame; they’re driven by a relentless muse to which they must give voice. Think of Darger churning out thousands of pages of a story he thought no one would ever read. While there has been the occasional discovery of an outsider during his lifetime (for it should be acknowledged that we find few Guerilla Girls being discovered) most die in obscurity and then their treasure is discovered. Flo was a self-proclaimed artist who had the wherewithal to manufacture a body of work and promote it — and absolutely no critical acumen. This is the new model for publishing. Andrew Nette started my day off on the wrong foot with a tweet about the “10-15 million books” published in 2012. What hope is there of any one of those books finding its audience? Slim to none. Word of mouth is still the primary way people find books. How many mouths do we need to be heard? Anyone can be ‘published’ now — it’s dead easy. That the Big Six Five are investing their futures in expensive vanity publishing shows this (as Inanna predicted). And unlike music or art, where people often feel some awe for the great artists, everybody thinks they can write because they need to be able to function in the language of their land. Competence in the tools is a long way from mastery. But what difference does it make amid the avalanche of publications? And I feel somewhat adrift in a world full of Flos all trumpeting their ‘successes’; but I go on because I can’t not do it. But I sometimes give in to despair about it. I LUV the line “people may say I can’t sing, but no one can ever say I didn’t sing..”.. shades of William Topaz McGonagall, triumphant (non-)poet from Dundee…or indeed, any politician who thinks he/she is a statesman/woman… great post .m’Lady .. I wish I had Flo & McGonagall’s brio. Why can’t I be that obtuse? O, gods…this is brilliant even for you, Laity. Thank you for propping up my faltering ego. *Every edition of a book requires a separate ISBN. * So: hardcover, trade paperback, mass market paperback, audiobook, ebook…there’s five ISBNs, all the same book. Even my tiny little small press assigns four ISBNs to each title we publish. Big presses use even more ISBNs per title. Library binding. Audiobook on CDs. Audiobook download. Epub edition. Kindle edition. Large print edition. Every one of them requiring a different ISBN. So, yeah–even if Bowker did “issue 15 million ISBNs” and they all got used (both arguable), I’d be surprised if that translated to more than 5 million unique book titles. And fiction writers should remember that the *majority* of books published are non-fiction, as well. This is a lot like that meme that went around in 2011, whereby numerous bloggers and writers kept repeating that “more than 2 million books were self-published in 2010” (this with triumph or horror depending on the perspective). In fact, this was a sloppy misreading of the Bowker report that 2.7 million “non-traditional” titles were assigned ISBN numbers. The vast majority of those consisted of mass reprinting, by 2 or 3 companies, of public domain works (most of them POD, never actually printed, just set up, assigned an ISBN and available to be ordered). Add up the numbers (available here: http://www.publishersweekly.com/pw/by-topic/industry-news/manufacturing/article/47243-traditional-book-output-up-5-nontraditional-soars.html) and the REAL number of books from the oxymoronically named “self-publishing companies” was closer to about 70,000. Books from micro-presses and real self-publishing authors are far harder to count, but I doubt they exceed that number. I like your article and I think your analogy with a certain kind of author is most apt, but don’t despair about the sheer number of books. It’s not quite as bad as all that…yet. I expect you’re quite right about that, but there is an avalanche nonetheless, alas. I want a badge with Flo’s quote on it!